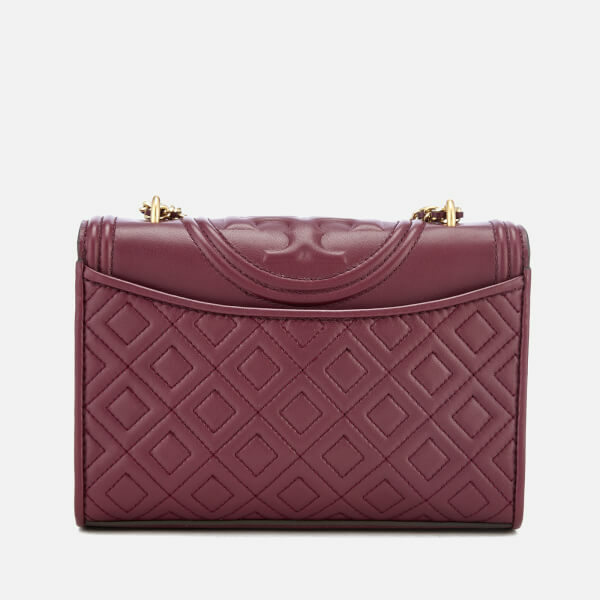 Women's small convertible shoulder bag from American lifestyle brand, Tory Burch. 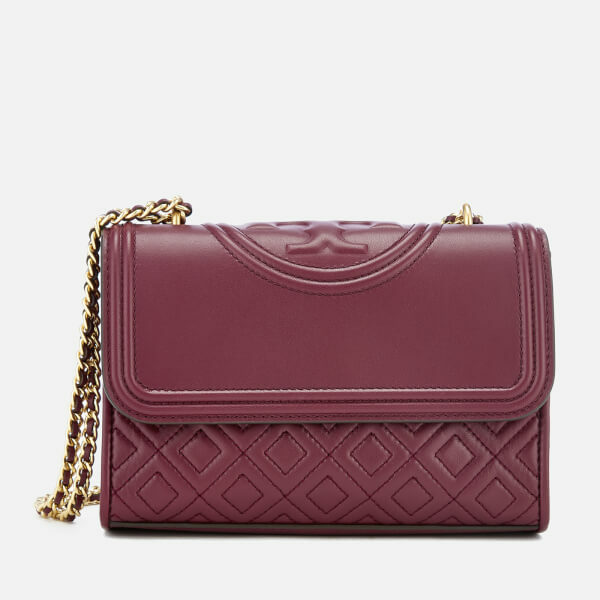 Crafted from quilted, diamond-stitched leather, the 'Fleming' showcases a detachable tassel charm and a chain and leather strap that can be worn on the shoulder or across the body. 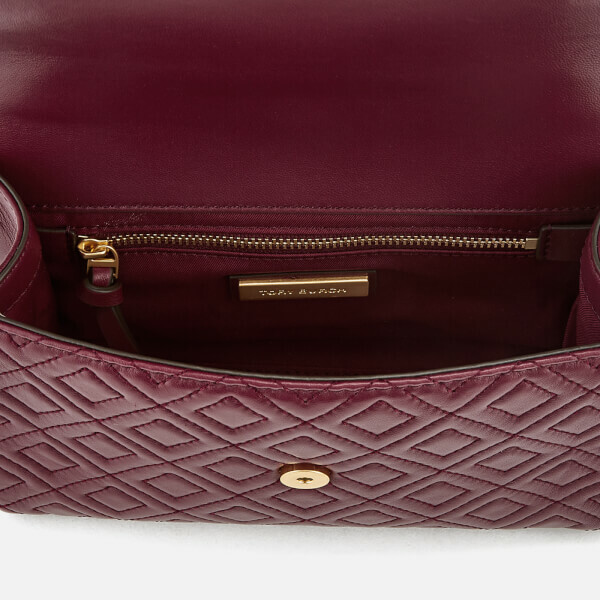 The fold-over flap and magnetic snap closure open to reveal a lined main compartment with one zip pocket and two slip pockets. A rear slip pocket with magnetic closure provides additional storage. 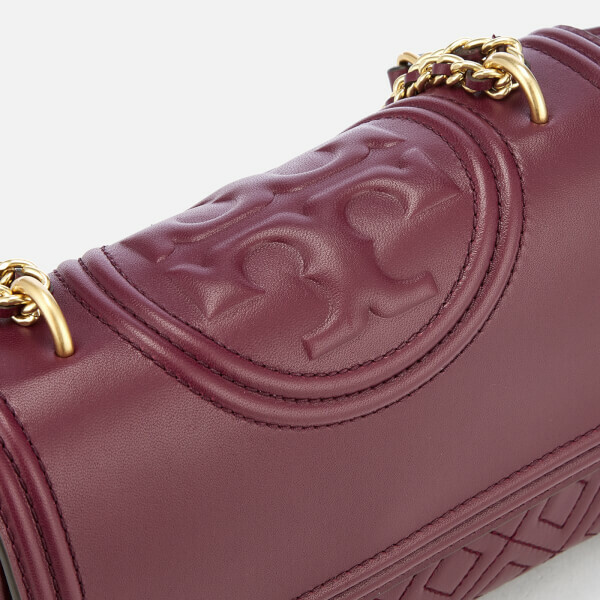 Complete with gold-toned hardware and the brand's double 'T' logo to the front. Dust bag included. Dimensions: H: 15cm x W: 21cm x D: 6.5cm. Strap Drop: 58.5cm.